Easily set out on your next road adventure, whether you want to travel across the country, or maybe your next vacation is calling you near the water. 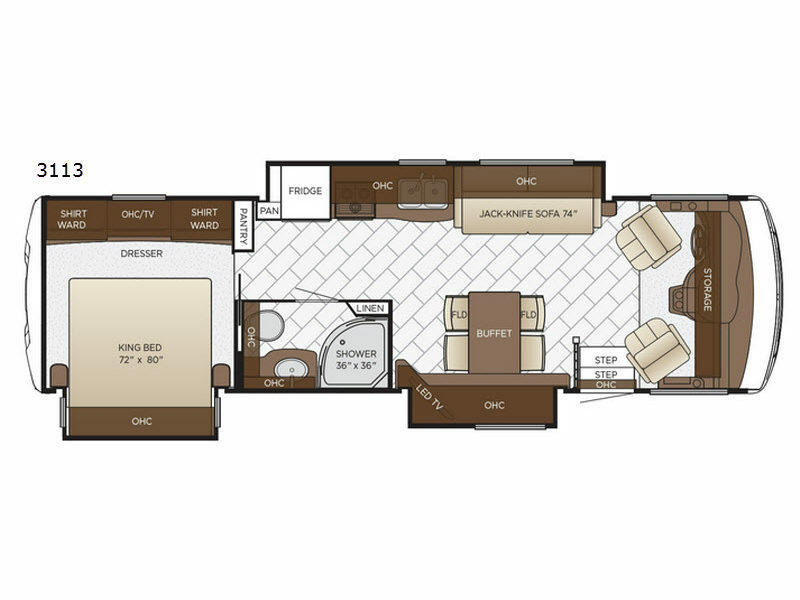 Travel in style and comfort in this triple slide out 3113 Bay Star class A motor home by Newmar. Once parked then you can enjoy extra seating space at the driver and passenger seats since they swivel around. Enjoy your meals at the free-standing table, and after dinner you can use this area to play a board game. The fully-equipped, spacious kitchen features everything needed to create your favorite meals while you are away from home. 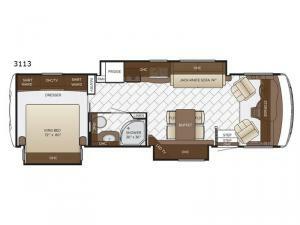 At night come retreat to the rear bedroom where you will find a king bed and so much more!